Buy at least one inch (2,54 cm) thick steaks. This will develop a beautiful outer crust without drying out the insides unnecessarily. Prior to cooking take the steaks out of he fridge. They should be at room temperature when cooking. It should take about 2 hours. Salt at least 40 minutes in advance of frying. 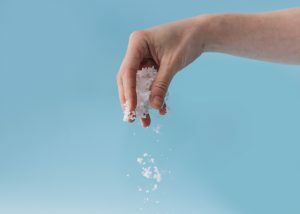 Salting too soon before cooking does the exact opposite of what you want to do: It brings the moisture out to the surface. When you salt far enough in advance that process can reverse. Do not apply pepper just yet. 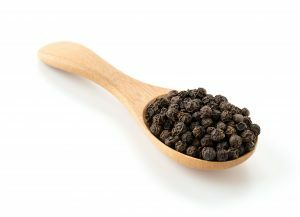 Pepper can burn during the pan frying, while salt cannot. If you don’t want the acrid taste of pepper on your beautiful steak, hold off until just after you’ve finished frying the steak. A good steak only needs salt and pepper. Make sure your cooking source is hot prior to adding the Steak. 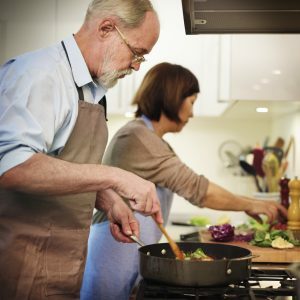 Take enough time to pre heat broilers / ovens, and when searing in a pan make sure almost all foam is gone. Flip Steaks only once if possible. Do not skip the resting period! This is very important all juices will settle and give you a far better flavour. This app has several options to choose from which are not necessarily healthy. 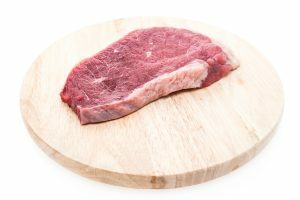 Making a blue rare steak has it risks, because the meat is still partially raw.